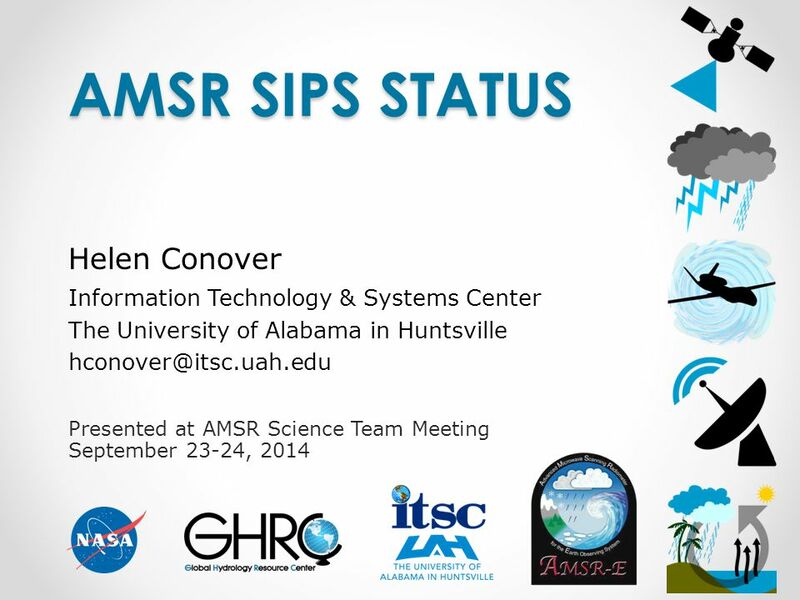 Presented at AMSR Science Team Meeting September 23-24, 2014 AMSR SIPS STATUS Helen Conover Information Technology & Systems Center The University of Alabama. 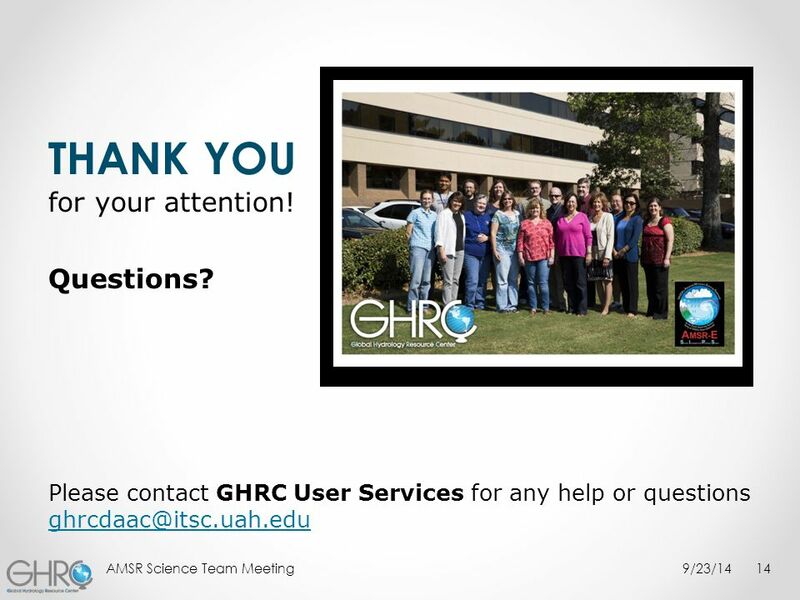 Download ppt "Presented at AMSR Science Team Meeting September 23-24, 2014 AMSR SIPS STATUS Helen Conover Information Technology & Systems Center The University of Alabama." 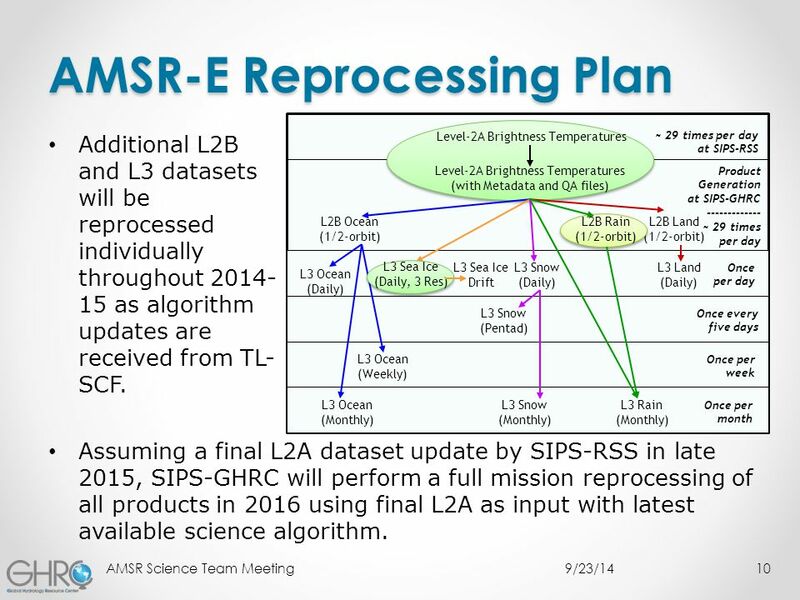 AMSR-E SIPS Processing Status Presented by Helen Conover Information Technology and Systems Center at the University of Alabama in Huntsville AMSR-E Joint. Status of MODIS Production (C4/C5 Testing) Mike Teague 1/5/06. 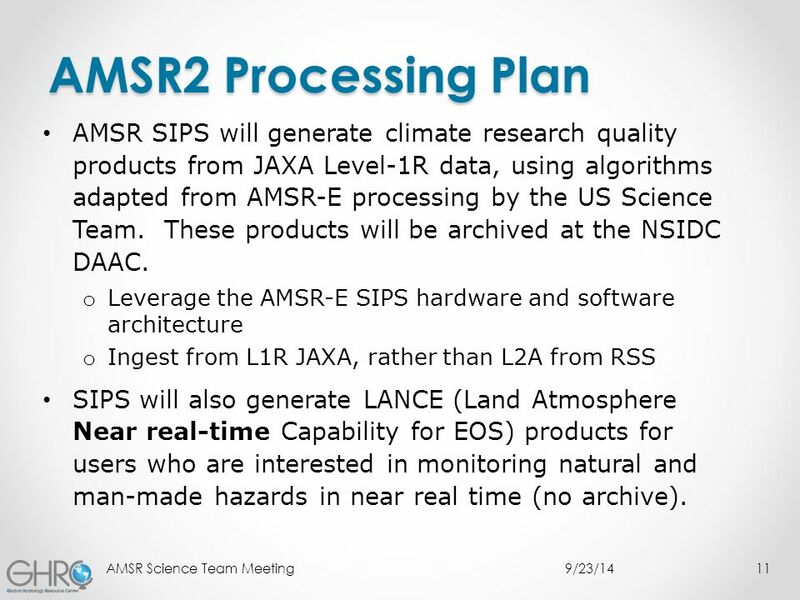 AMSR-E SIPS Processing Status Presented by Kathryn Regner Information Technology and Systems Center at the University of Alabama in Huntsville AMSR-E Joint. 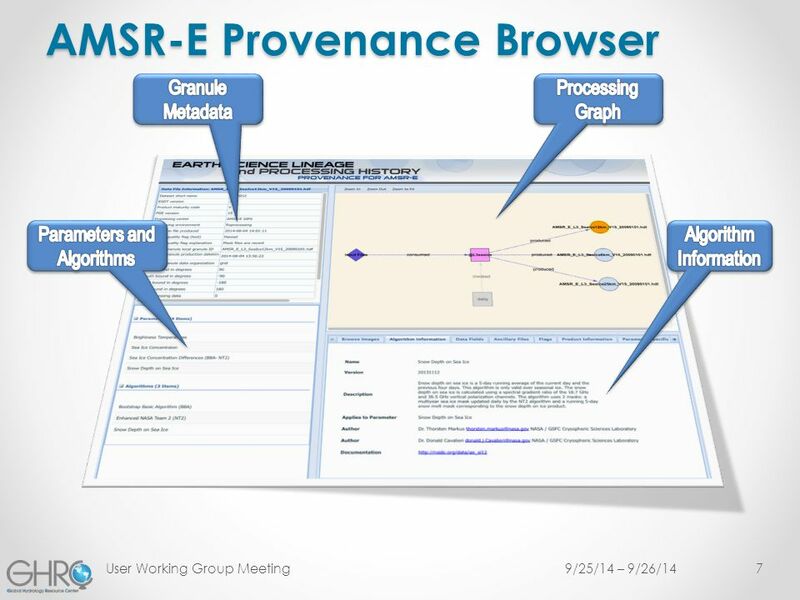 LANCE AMSR2 Amy Lin Research Scientist Presented at the GHRC User Working Group Meeting September 25-26, 2014. 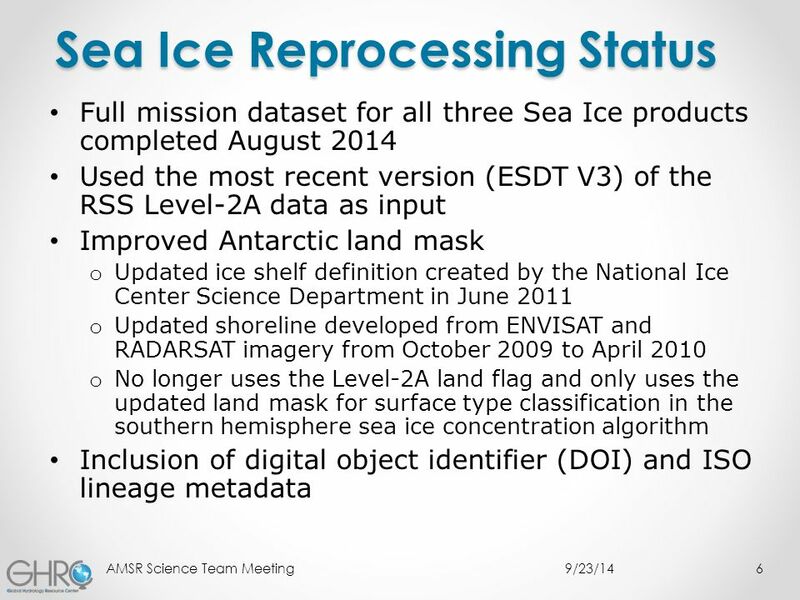 MWR Algorithms (Wentz): Provide and validate wind, rain and sea ice [TBD] retrieval algorithms for MWR data Between now and launch (April 2011) 1. In-orbit. 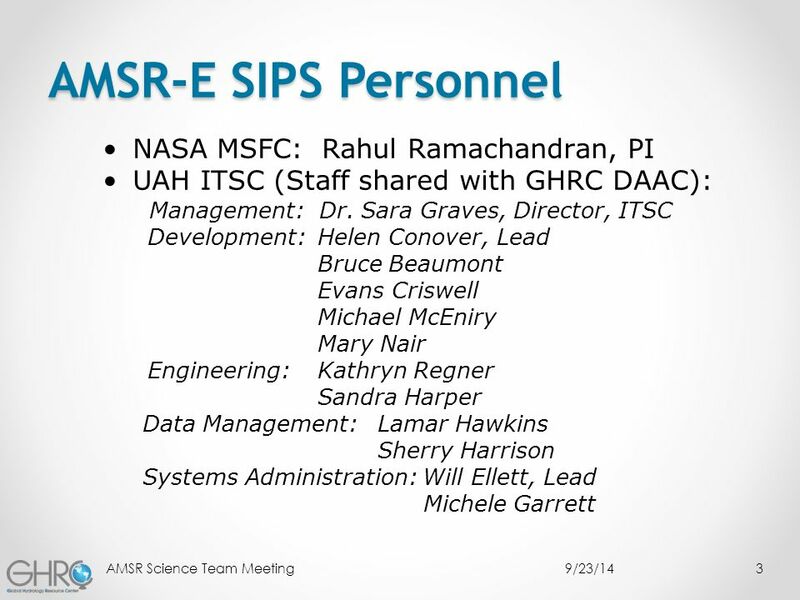 AMSR-E SIPS Processing Status Presented by Kathryn Regner Information Technology and Systems Center at the University of Alabama in Huntsville JAXA / AMSR-E.
Data Ingest Automation GHRC Status and Plans Helen Conover GHRC DAAC Operations Manager Presented at ESIP Summer Meeting 2015. 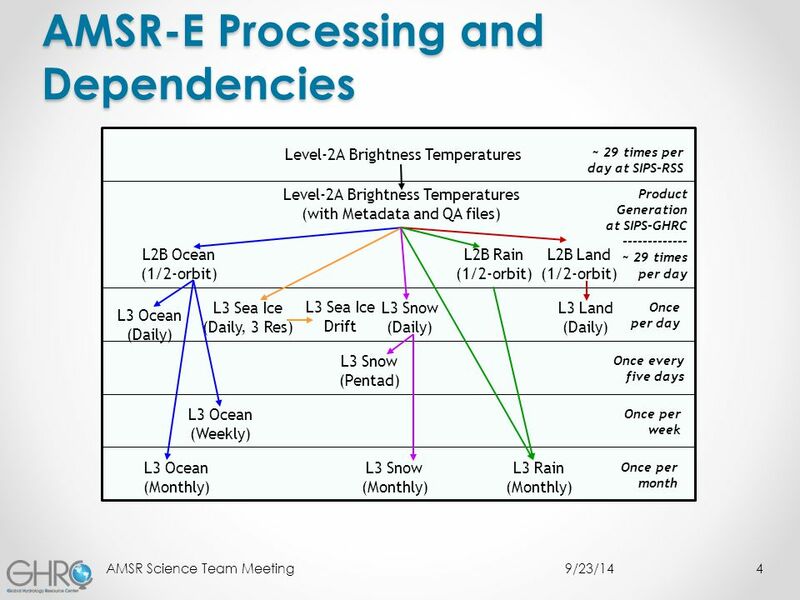 Obtaining MISR Data and Information Jeff Walter Atmospheric Science Data Center April 17, 2009. 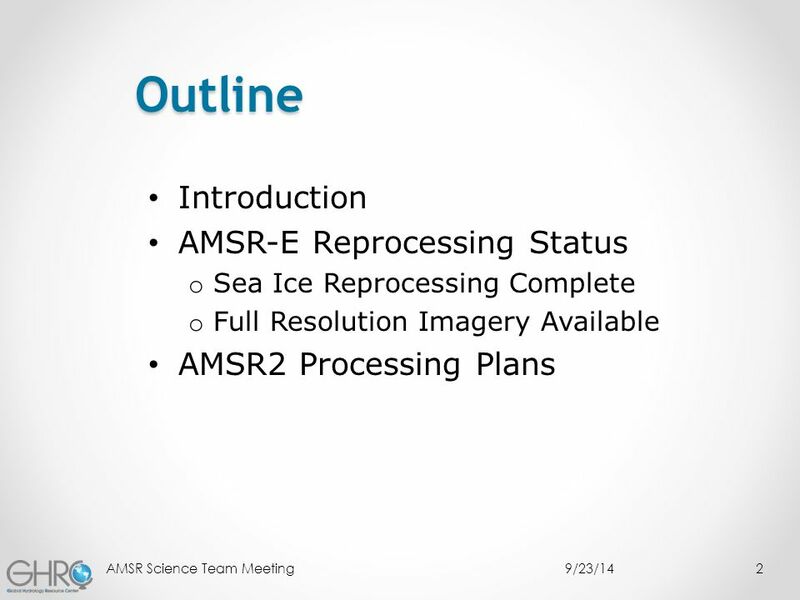 September 23-24, 2014Dawn Conway, AMSR-E / AMSR2 TLSCF Lead Software Engineer AMSR-E / AMSR2 Team Lead Science Computing Facility TLSCF at UAH Dr. Roy. 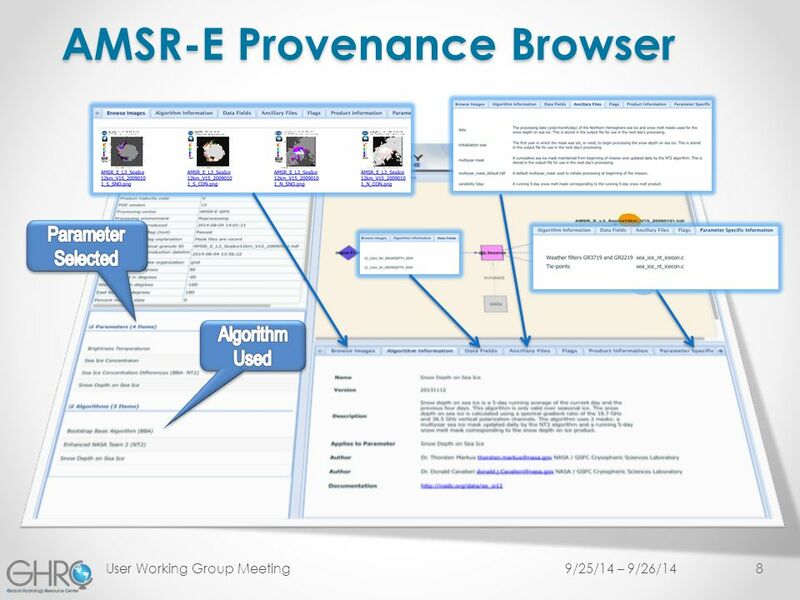 Instant Karma Collecting Provenance for AMSR-E Beth Plale Director, Data to Insight Center Indiana University Helen Conover Information Technology and. 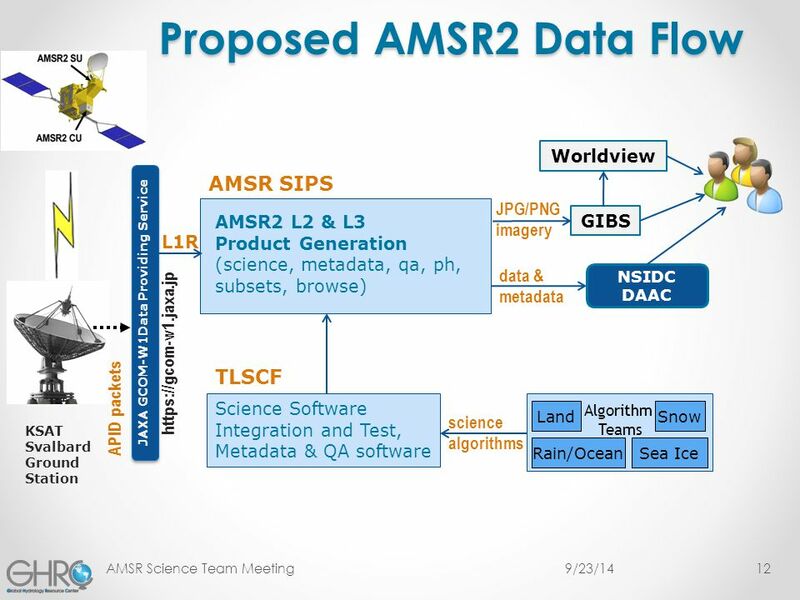 Global Imagery Browse Services Overview AMSR Science Team Meeting Matt Cechini, GIBS Lead Helen Conover, AMSR-E SIPS. 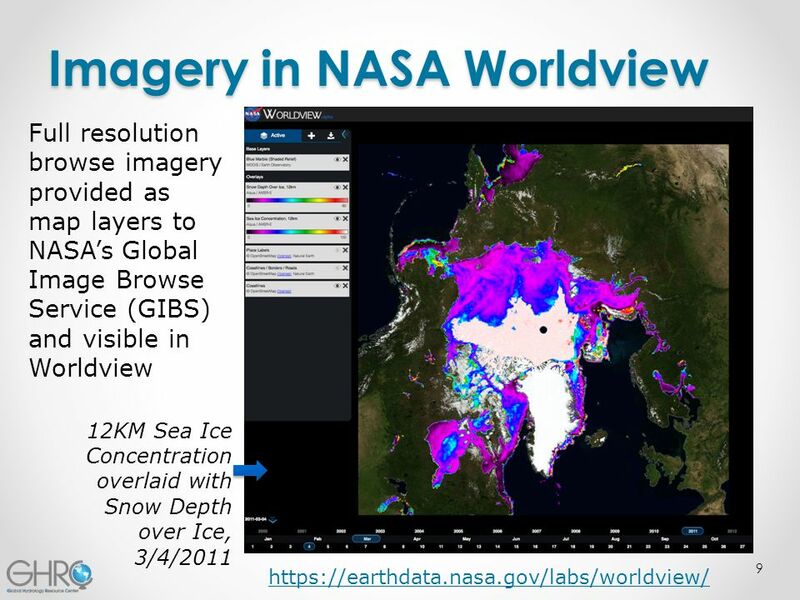 1 MODIS Land C6 Schedule and Status Sadashiva Devadiga 1,2, Ye Gang 1,2 and Edward Masuoka 1 1 NASA GSFC 2 Science Systems and Applications Inc. MODIS/VIIRS. 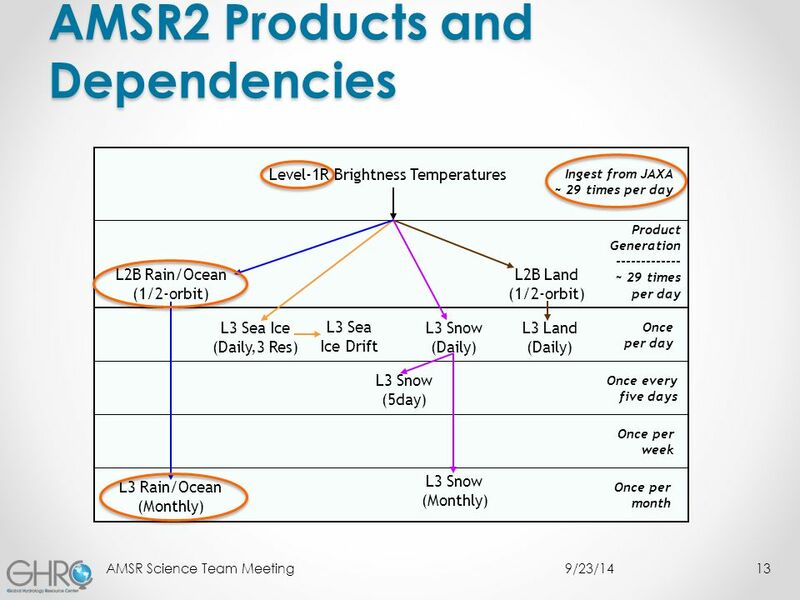 PoDAG XXI: MODIS Status Marilyn Kaminski MODIS Product Team Lead October 16, 2003. 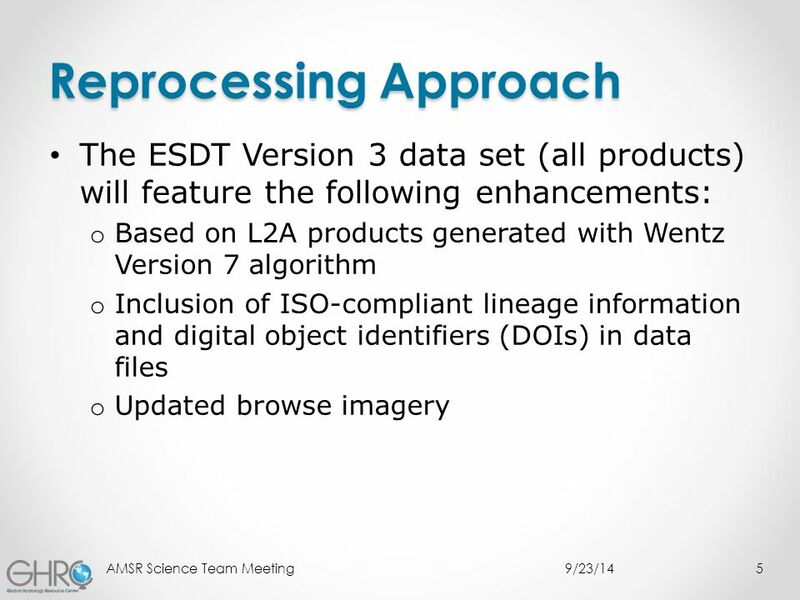 September 4 -5, 2013Dawn Conway, AMSR-E / AMSR2 TLSCF Lead Software Engineer AMSR-E / AMSR2 Team Leader Science Computing Facility Current Science Software. NSIDC DAAC Operations What we did and how we did it: Sep 1999 - Jan 2000 Mark Parsons Operations Manager 7 February 2000.